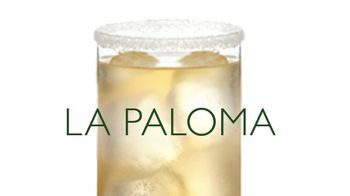 A recent trip to Mexico to learn about tequila introduced me to the joys of a simple, refreshing cocktail called La Paloma. If you find yourself sick of sipping Margaritas this Cinco de Mayo, we suggest you change it up. The drink was invented in the tiny town of Tequila in Jalisco, which sleepily charms with cobblestone streets and distilleries nestled between unassuming houses and shops without signs. The cocktail was created at La Capilla, the oldest bar in town, by Don Javier Delgado Corona, grandson of the bar’s original owner. It’s essentially a tequila highball made with fresh lime, Squirt or whatever grapefruit soda you prefer (or fresh grapefruit and soda if you wanna get all fancy), served with a salted rim. It’s simple, refreshing, and far more popular locally than a Margarita. Don Javier still holds forth at La Capilla. Imagine yourself sitting down with him, while at one end of the bar a mustachioed barman cuts fresh avocados and squeezes lime into a wooden bowl, prepping fresh, chunky guacamole. At another, a kid no older than 17 and a middle-school-aged barback pour drinks, squeezing fresh lime into highballs for Palomas, Batangas and shots of tequila. The roving band will come by in no time. Combine tequila and lime juice in a highball or Collins glass rimmed with salt. Add ice and top with grapefruit soda.